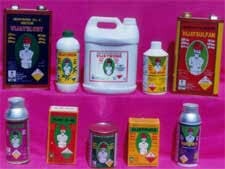 MFL markets Neem based Pesticides, under the brand name VIJAY NEEM. Of late, biological and botanical pesticides have gained importance, as they are environment friendly and highly effective with negligible residual content in agricultural produce. Neem based products occupy an important place in botanical pesticides. VIJAY Neem is based on neem kernel extract and has a wide spectrum of activity against major pests, which infest both commercial and food crops. VIJAY NEEM is presented in 300 ppm and 1500 ppm, in packings of 100 ml to 20 liters, to suit the needs of all categories of farmers. VIJAY NEEM can be used as a ‘stand alone’ pesticide. The unique feature of VIJAY NEEM is that pests do not develop resistance to it. This enables farmers to repeatedly use the product with the same effectiveness for a long period of time.